I would have finished up my last few recipes a week or two ago, but my camera ate my pictures and wouldn’t give them up! I have it fixed now, so I will finish up my last two recipes today and tomorrow. Are you ready for a giveaway? Makes a pretty little pile, eh? Mix all ingredients well; store in an airtight container. 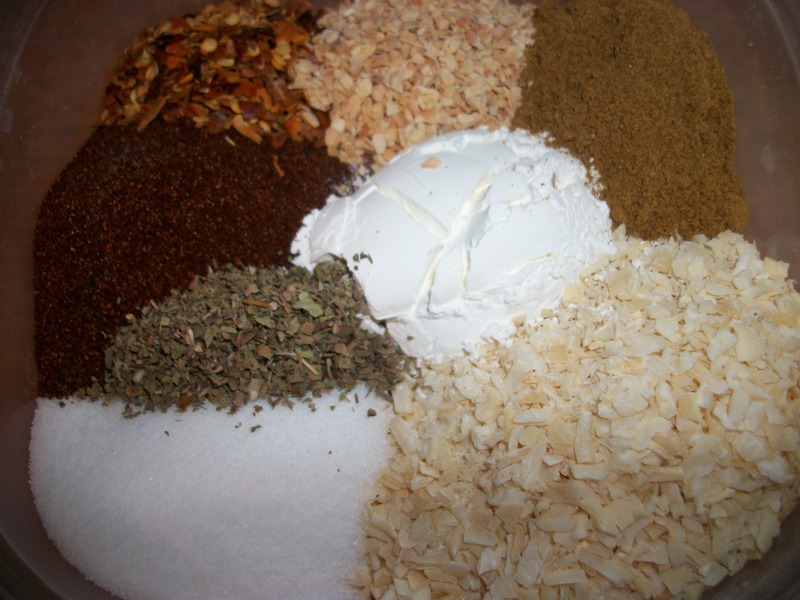 Use 4 tablespoons mix in place of a 1 -1/4 ounce package of taco seasoning mix. Makes about 1-3/4 cups. So simple and so frugal! And the lowdown on the cost? Another freebie. I had all the ingredients (although, I will admit, I did not use them very often). I LOVE it when I find a way to save a dollar, and didn’t even realize it was under my nose! I used it this week to make up some taco meat for a church lunch. My boys absolutely loved it and told me that it was MUCH better than the other stuff I had been using. I will admit, it was pretty darn good! 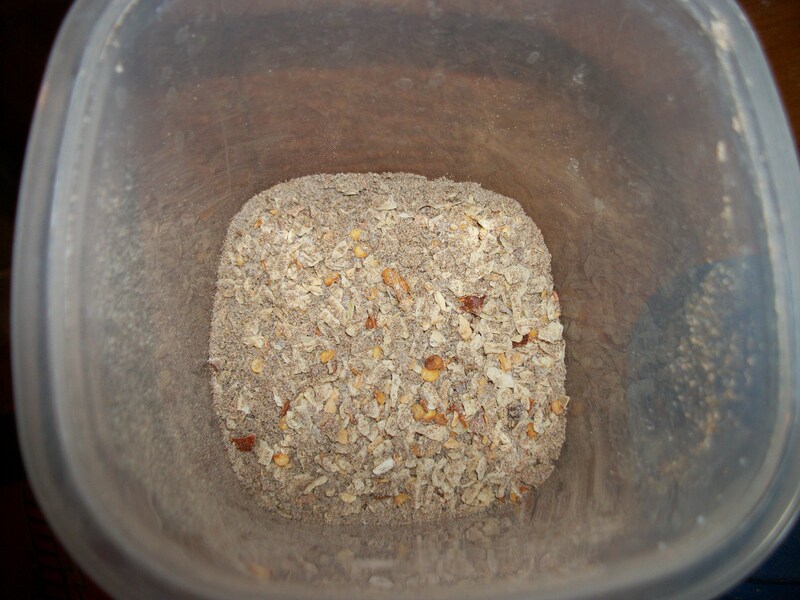 This entry was posted in Cooking, Gooseberry Patch, Projects and tagged Cooking, Gooseberry Patch by wagfarms. Bookmark the permalink.